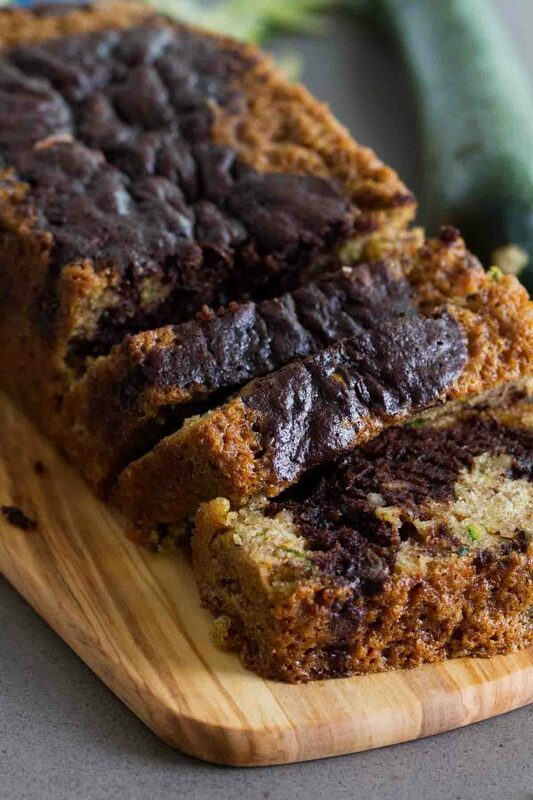 A change up from regular zucchini bread, this Chocolate Wave Zucchini Bread combines original zucchini bread with a swirl of chocolate zucchini bread down the center. Have you blogged about something that you actually make over and over again, but of course – you’ve only had the one blog post about it? I was thinking about this the other day. 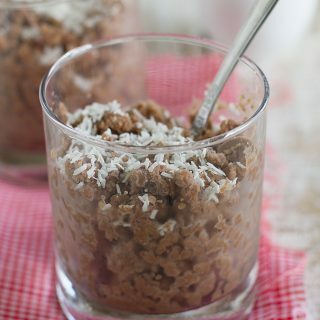 I have some of my favorite recipes that I’ve already made and blogged about. 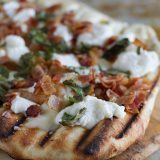 I’ve been blogging for about a year and a half now, and some of my favorite recipes are stuck back at the beginning of my blog. And I know I have a lot of different readers now than I did back then. 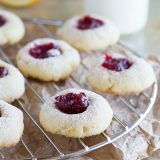 So I decided that there is nothing wrong with blogging about a recipe again!! Plus, the pictures are much better this time around, so I thought I’d re-share this Chocolate Wave Zucchini Bread with you. When zucchini season rolls around, the first thing that I think of making is this bread. I’ve been making it for years now, and it still remains a favorite. It’s one that disappears from our kitchen very fast!! I mentioned this in the last blog post, but the recipe says to do half of the regular batter and half chocolate. I do a little less than half for the chocolate, and it works out a little better. And this time around, I didn’t have any mini chocolate chips, so I used regular. It worked, but I do prefer the mini chocolate chips for this. 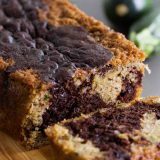 And since this is the time of year when zucchini is rampant, this Chocolate Wave Zucchini Bread is a great way to change things up! Preheat the oven to 350ºF. Grease a 9×5-inch loaf pan, or line with parchment and then grease. In a large bowl, cream together the butter and the sugar. Add the eggs and mix until combined. Add the grated zucchini, water and vanilla; mix to combine. In another bowl, whisk together the flour, baking soda, pumpkin pie spice, salt and baking powder. Add the dry ingredients to the wet ingredients and stir just until combined. Stir in the walnuts. Divide the batter in half*. Add the cocoa powder to one half and stir to combine. Stir in the chocolate chips. Pour the plain batter into the prepared loaf pan. Pour the chocolate batter down the center of the plain batter. Bake until a tester inserted in the center comes out clean, about 60 minutes. Cool for 10 minutes, then remove from the pan. Cool completely before serving. *I will often keep the chocolate half at just less than half the batter so that the bread turns out with more of a “wave” effect. I have three mammoth zucchinis sitting on my counter waiting to be used and I’m tired of my same old bread recipe. I’ll be making this!! It looks fabulous. Now this I am sure to like. I also make a full chocolate zucchini bread with mini chocolate chips. My FIL adores it and asks for it every year when the zucchini is coming out of our ears! I’m glad you decided to post it again! It looks and sounds fantastic! Definitely the best looking zucchini bread I’ve ever seen! 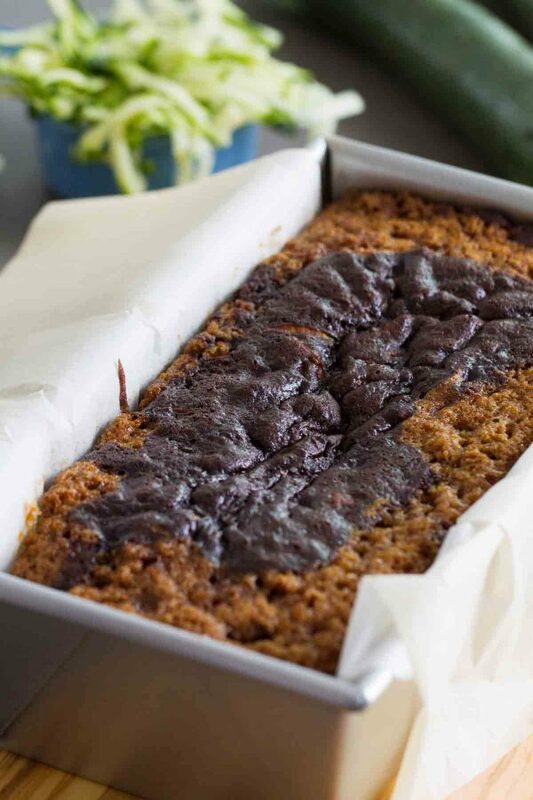 zucchini bread is so wonderful – this recipe sounds perfect. gorgeous photos, too. Deb this looks so wonderful and your camera sure takes great pics (I am hoping father christmas will bring me a camera like yours this xmas)! 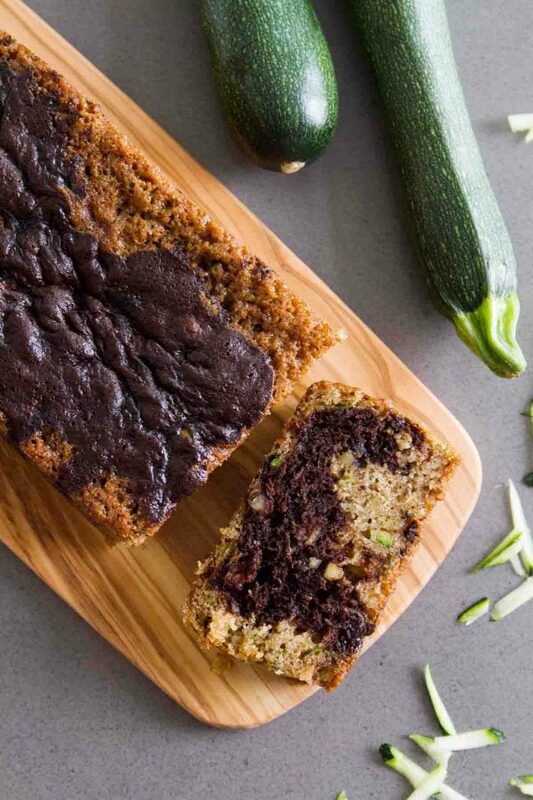 I’ve never used zucchini in cakes but will be trying it out soon. This looks like a great way to use up the zucchini that lurk in the garden. I love the swirly shape you made with the chocolate. 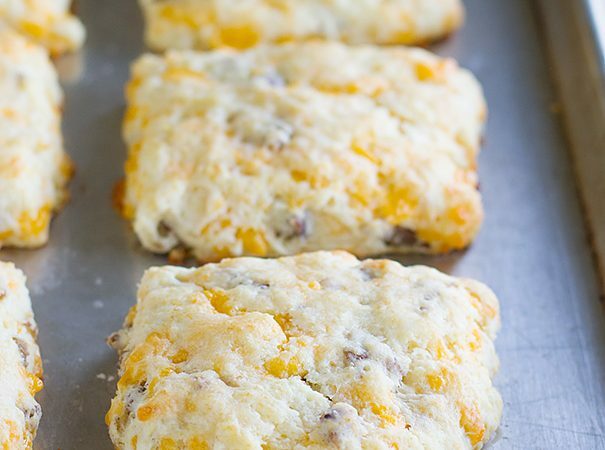 This recipe looks fabulous Deborah! I must try this very soon! I’m making this because my zucchini are having babies like crazy! 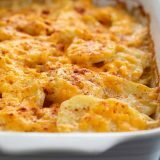 Nothing wrong with reposting a recipe you blogged about a while ago that you feel deserves some more attention. I was just thinking about that actually. This loaf looks so moist and tasty. I love the contrast between the dark and light. Oh, yummy! I’ll ride this wave! This looks like something from a bakery brochure! I’d love a slice please, warm. 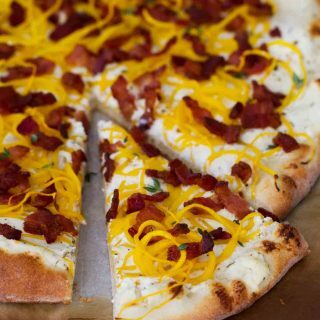 And then I’d like to put cream cheese on it. Because, well, I like cream cheese on warm, yummy sweet breads. I feel a happy dance coming on! Great wave pattern in the zucchini bread! Seriously that is the coolest looking breadd…it’s like designer! Now I know what to do w/my zuccihinis! YUM. This zucchini bread looks awesome! I love breads and cakes like this! So cool. I love that chocolate wave down the middle of the bread. I bet this is fantastic! Best way to eat your veggies! this is one of the best uses for zucchini that i’ve seen this summer. yum. I have never tried zucchini bread but I keep meaning too. This recipe looks a great place to start. I can see why that would be one of your favourites, it looks wonderful. Meah. I miss my zucchini plant and its’ militant attempts to dominate the world. Lovely bread! i have been seeing so much chocolate zucchini bread in the blogsphere. ;but yours look really tempting!! i have never tried this before..
We’ve almost talked about this, I have the same problem! I feel bad to my early readers for the repeats, I have done a few too. But I also feel like if the picture was bad or there was no photo back then, it never was a ‘real’ post anyway. And the best ones deserve a little extra attention anyway, right? I for one am very glad you repeated this one! I looks so, SO good! Seriously. I am going to have to try this one! 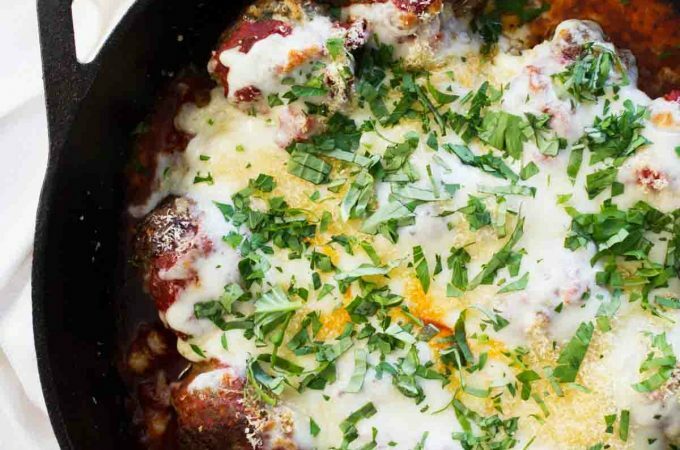 Glad you posted this again – I know what you mean about favorite recipes ending up in the back of the blog! I’ve yet to make zucchini bread this year, but now it’s on my list! I am glad you posted this one! Once I can find my kitchen I am going to make this. 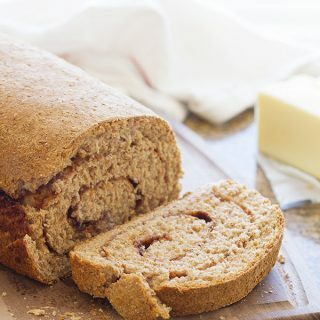 We have so much zucchini right now and this bread looks yummy! Your wave looks like a fleur de lis! Very pretty! And I love zucchini bread, esp with chocolate. What a great idea! 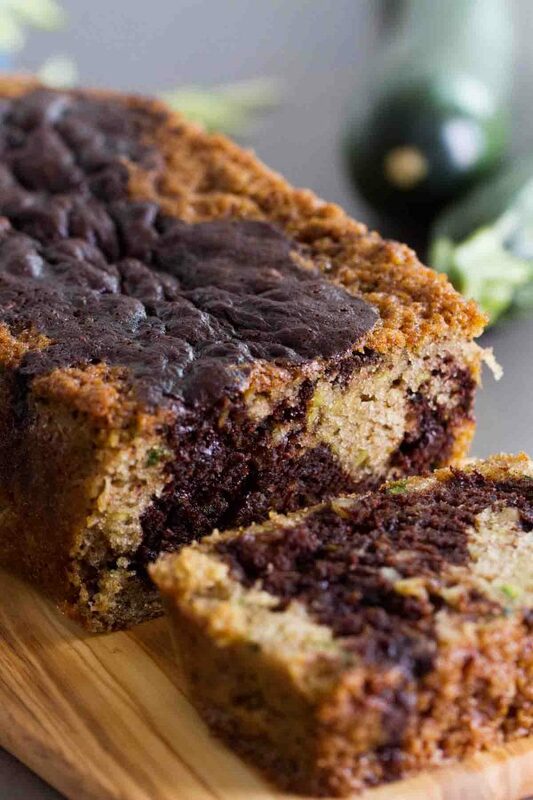 I love zucchini bread and chocolate, so it is a perfect match! Deb, I think you’ve got a point here! I’m glad you reposted this, since it looks delicious – it would be a wonderful way for me to try zucchini bread for the first time! I love zucchini but prefer it in dessert 🙂 I also have a lot of standbys that I posted when I first started blogging and the pictures are embarrassing to say the least. Great idea to do a re-post. This takes the humble zucchini bread to a whole other level…it is always good!!!!!!!!!! Oh my goodness this looks so good!! I haven’t as yet made zucchini bread but viewing yours it makes me want to rush into my kitchen and get my mixer out!! 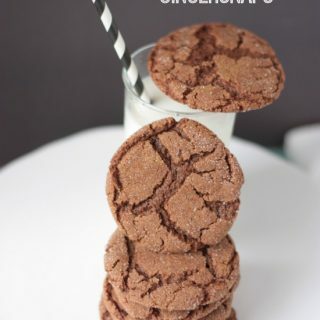 Recipe Rewind is a great idea! This zucchini bread looks fabulous. I love the swirls. Hi, I know this is a really old post, but I'm hoping for some help here. I made this recipe last night, and it didn't make the "wave" pattern. I poured it down the middle hoping that was how you got it to do that, but it all just puffed back out when it cooked, so I pretty much just have a chocolate layer on top. What a fun idea! So pretty.